Have you ever thought about the creative process that boiled inside geniuses like Mozart, Beethoven, Dvorák, Strauss, Brahms, Mendelssohn, or Liszt - or any composer, for that matter? What goes through a composer's mind when a musical composition is being set to paper? Are those magical weeks or months spent in an agonizing creative blur of ideas first tried and then discarded, or is it a matter of pure inspiration? Does the composer hear the music in his head before even picking up a pen, or does the music in fact begin on that blank sheet of staff paper? Most important, can lay listeners like us, untrained in music's technicalities, learn how to open our ears to a composer's creative intentions? Happily, the answer is a resounding "yes!" And in this series of 32 lectures, a professional composer and accomplished teacher will give you a new level of sophistication as a music listener - using as his teaching tools some of the most memorable works in all of music, by geniuses whose work has not only withstood time, but transcended it. Through listening to these lectures, you'll gain a new grasp of the intricacies of musical purpose, structure, and narrative content that you will then be able to hear in any piece of music. And though this is a demanding course, with a deeper look into musical structure than untrained listeners are likely to have experienced, it is not an intimidating one. 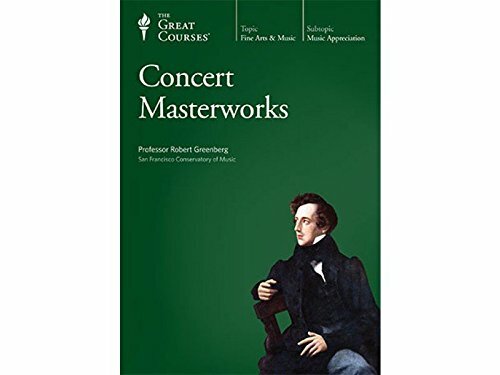 Professor Greenberg vividly positions each composition and its composer in the social and musical fabric of its period, so you can understand the music in its proper societal and artistic context and feel its emotional power in the same way as did its original audiences.